Weekend Wave Wrap: Watch dolphin. Catch wave. What a beautiful weekend again. We’ve really had a great run weather-wise with blue skies and sun. 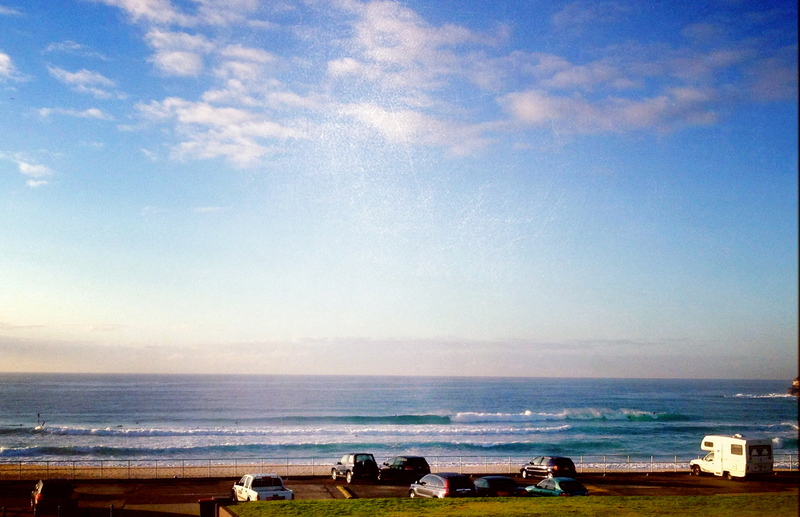 Plus, we had awesome waves all week finishing off with an absolute cracker of a surf day today. Saturday morning we went to Palmie again. When we arrived it was just stunning. The morning sun was quite warm already and there was no wind to speak of. Waves were about 2 foot but the water looked cold. For the first half hour we did not even get into the water but stretched out on the grass instead and soaked up the morning sun. It was so good to feel the grass between the toes and the sun shining onto our bellies listening to the waves breaking. Absolute bliss. Eventually, we got our bums off the grass into the water. It was about 2ft and banks were not too amazing. Heaps of fun nevertheless. An hour in the wind was in and it looked like a storm was brewing. The storm never came, sun won. The wind, however, stayed. If not exactly pretty with the onshore wind, it was surfable all day. I had to get up super early on Sunday to squeeze in a surf as I had other stuff on throughout the day. I almost gave it a miss because I was so tired and really did not feel like getting up so early. I checked anyway and it looked pretty good. So I decided to go for a quick one anyway. Never was I happier and more grateful that I convinced myself to go out. Not only was it three foot and offshore, but there was this big pod of dolphin hanging around. There were at least 30 of them if not more (I think they did outnumber the surfers) and they were playing in the waves. Playing catch me if you can. Jumping up and down. They came really close surfing in with the waves. Absolutely magical. I was spell bound watching them. And on top of that I had one great wave after another. All the way out the back from where the dolphins were to the beach. So my morning surf went something like this: Watch dolphin. Catch wave. Watch dolphin. Catch wave. I did that for about 45 min and then I had to get out. Happy as Larry. 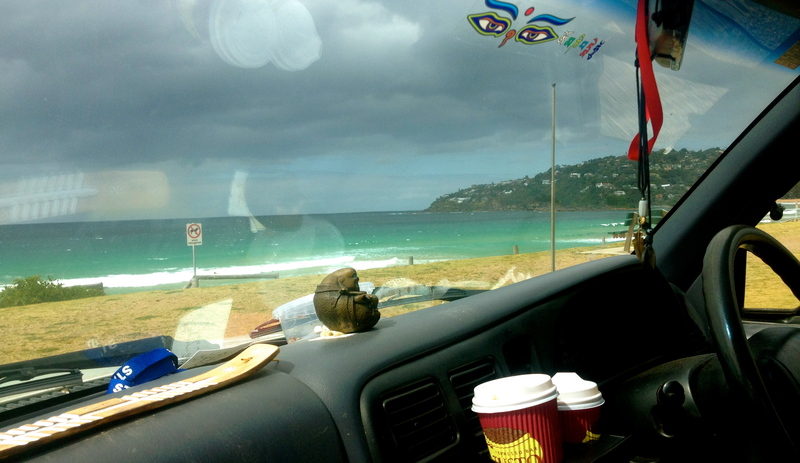 When I drove past the beach half an hour later the dolphins were still there. I took a few peeks at the surf cam throughout the day, I think the dolphins may have gone eventually but fun surf did hang around. I can’t wait to get out there tomorrow morning. Supposedly, it’s going to be more of the same over the next few days….sunny, 3ft, offshore…oh yeah…Enjoy!